There are all manner of Alexa notifications you can set up, and different colored rings represent different notifications. Here's what they all mean, and a brief rundown of how you can set up and edit notifications. What Do the Alexa Notification Colors Mean? White: Volume is being adjusted. You can actually tell what volume setting your device is currently at by watching what percentage of the ring is brightly lit. Blue: The Wake Word has primed the device and it's listening. A slightly different colored indicator will point which direction the device is picking up sound from. Spinning Orange: The device is connecting to Wi-Fi. Spinning Violet: There was a problem during Wi-Fi setup. Red: The microphone has been muted and Alexa will not respond to commands. Flashing Purple: Do Not Disturb has been activated. Pulsing Green: A pulsing light means an incoming call. Spinning Green: A spinning light means a call is active. Pulsing Yellow: A pulsing yellow light means there are messages in your inbox. As developers continue to push the boundaries of what Alexa devices can do, they may want to reach out to customers and let them know what new skills their apps have. You can keep up to date on these notifications by allowing your favorite apps to notify you through your device when a new skill is added. Tap Settings > Notifications if you want to adjust general notifications, such as notifications when Amazon orders are shipped or delivered, then adjust the slider settings as needed. For app specific notifications, continue to the next step. From the Notifications screen, tap Skills & Games > My Skills if you want specific apps to be able to notify you of new skills. This will open a menu of every skill you have linked to your Amazon Alexa device. Tap the skill you want to edit, then open the Notifications menu to adjust their settings. Why Enable App Specific Notifications? Load your Alexa app on your connected device. Open the Menu. Then navigate to Settings > Notifications > Shopping Notifications. Tick the slider to turn on when your packages are either out for delivery or have been dropped off. You can also adjust if you want Alexa to say what products are in the package. You may want to turn this option off if you're ordering gifts for someone. Use the Alexa app to tick the slider back if you no longer want to receive those notifications. 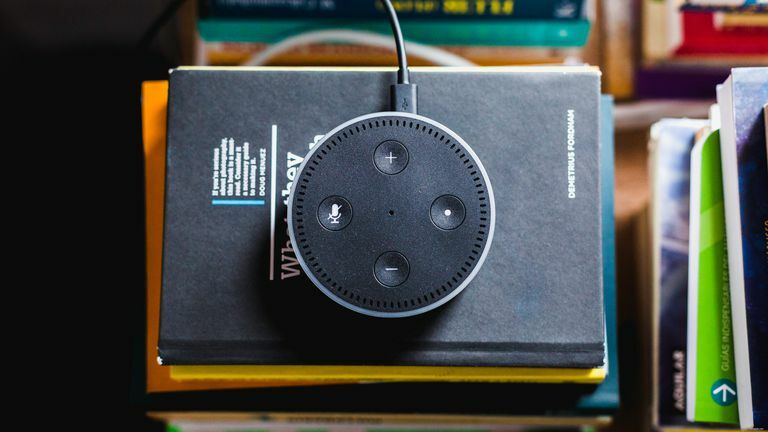 Even if you don't use a ton of skills on your Alexa device, it's a good idea to set up notifications on your most used skills so you can keep up to date everything your Alexa is capable of. Give it a try; there may be some extremely useful things you had no idea your Alexa device was capable of. Severe Weather Alerts: Most of the big weather apps can alert you to severe weather updates, such as flooding or high winds. Breaking News: If you've linked a news outlet, like The Washington Post, Fox News, or NPR to your device, you can enable breaking news notifications curated by that specific outlet. Flight notifications: If you have a travel app linked to flight times, you can have your Alexa notify you about any delays or departures. This can be extremely useful if you're supposed to pick someone up from the airport or you're waiting for someone to arrive home after a business trip. Sports scores: If you're unable to keep an eye on your favorite team, you can set up notifications if the score changes so you can keep up, even if you can't watch. If you don't want your device to start flashing colors in the middle of the night, you can also also set specific times for a Do Not Disturb mode. This will hold notifications until Do Not Disturb is turned off. To set times, open your Alexa app, then tap Devices > Do Not Disturb > Scheduled. This will allow you to set different times for different devices.